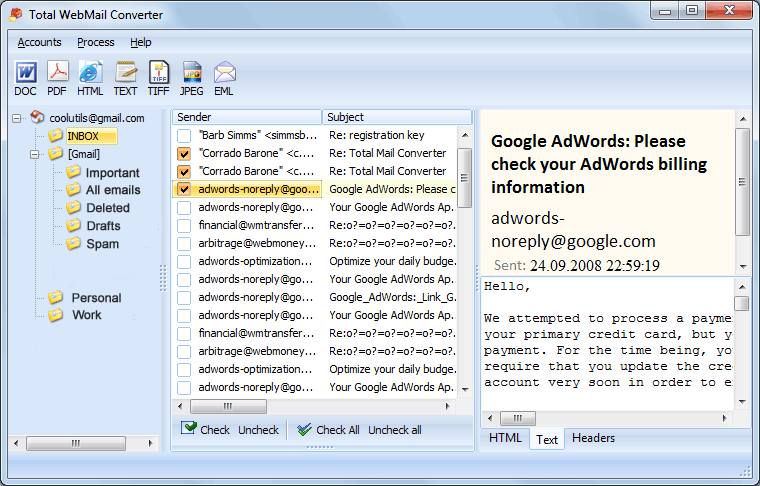 Gmail Emails to XHTML in few clicks! Gmail is a wonderful piece of software for managing your email while you are on the move, but actually extracting data stored within it can be problematic at times. You will often come across the need to get data out of Gmail into another more flexible format for archiving or migrating crucial information and doing it by hand is potentially painful. Using XHTML as an export format makes a lot of sense - it is lightweight, portable, and universally understood. When you are looking to convert Gmail emails to XHTML, there is no better tool than our Total Webmail Converter Pro for the job. Whether you are dealing with one message or thousands, this powerful Gmail converter will let you blast through your data with ease and confidence. The ability to save Gmail into XHTML comes as standard and you can also convert to a wide range of further formats such as DOC, PDF, JPEG, TIFF. You are not limited to Gmail. Outlook.com, Yahoo, and Windows Live Mail can all also be converted. If you are looking to move to Outlook, you can convert emails into a single PST file for seamless transfer. Easily combine multiple messages into single files in formats such as PDF and TIFF. Use excellent filtering options to drill down on specific parts of your data you want to export. When you are looking to save your Gmail messages as XHTML files, the subject of handling attachments will naturally be on your mind. 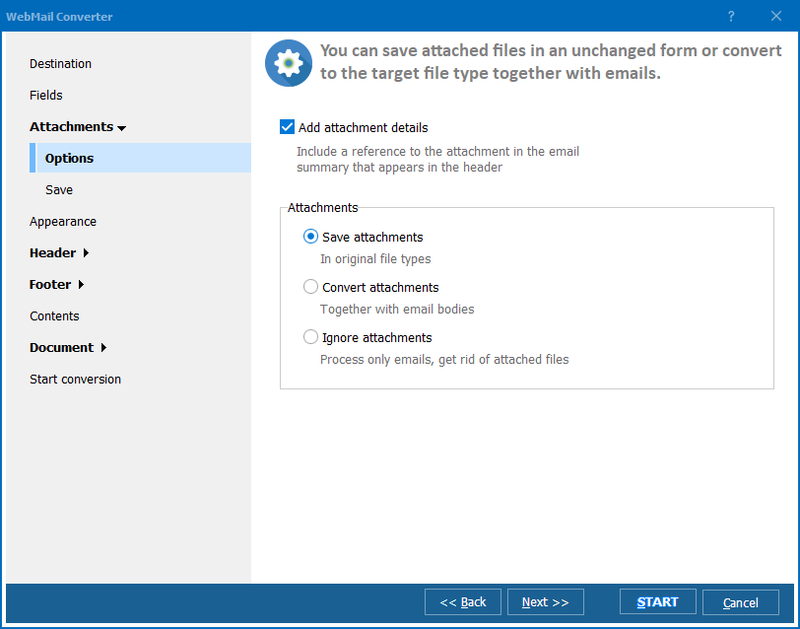 Total Webmail Converter Pro gives you a straightforward choice of either converting the contents of attachments themselves, or splitting them out into separate folders for later processing. 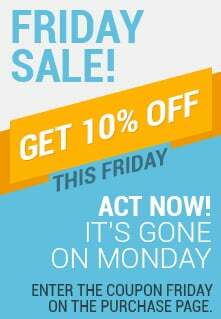 Both options stand to save you an enormous amount of time and hassle when dealing with larger conversions. There is no need to worry about connecting with Gmail either. 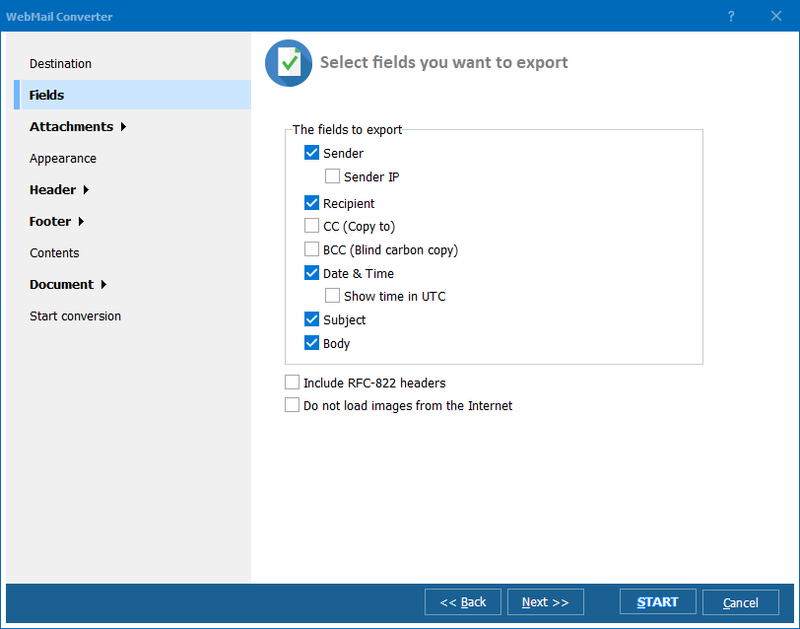 Total Webmail Converter Pro ships with a wizard to step you through all necessary security settings that you will come across. Actually using the software could not be easier either. You have got a choice between running it directly from the command line or using its easy to handle graphical interface. Start taking control of your data today and take advantage of our free 30-day trial version of Total Webmail Converter Pro!